The 3rd day of our trip was mostly eating/drinking. We loved Highland Bakery so much that we almost wanted to just return there for breakfast, but we decided to try something different, so we headed to Folk Art Restaurant – a Southern restaurant in the Inman Park area just east of midtown Atlanta. There was plenty of parking – but it was mid-week, so they might fill up on weekends. The design is rustic & industrial with bits of vintage Americana art. I started with a latte macchiato and Lance had his normal black coffee. We shared a starter called The Randy – bacon dipped in pancake batter and fried. It tasted like something that would be served at a carnival. I ordered the bananas foster waffles and Lance had the cinnamon pecan sticky bun French toast. Both were super decadent and sweet – more like dessert than breakfast. They were very generous with the toppings – almost too much so. I think all the juices got soaked up in my waffle, so it wasn’t as crispy as I’d like. The dishes were so indulgent we couldn’t even finish them (and we normally clear our plates). After that we walked to Little Five Points, an edgy area of town filled with graffiti and funky shops. Most of it was overpriced thrift stores and smoke shops, but we did stop and have some drinks at The Vortex. It is one of the easiest to spot buildings with a giant skull surrounding the front door. The menu warns you that everything they serve is bad for you – and that if you’re easily offended, you shouldn’t dine there. They claim that the customer is NOT always right, and that if you eat there, you should follow their rules. They have a pretty extensive drink menu – I tried the Apple Cobbler beer cocktail – a blend of Crispin apple cider with Well’s Banana Bread Beer, and Lance had the local Monday Night Brewing Blind Pirate Double IPA. I didn’t really taste much of the banana bread in mine – it seemed like mostly cider. I liked how the label on Lance’s beer had suggestions for what to drink the beer with – including cheese, spicy foods, salty foods, or “your mom”. Next we took a stroll around Decatur. If I ever moved to Atlanta, it would be the area I’d want to live. It seems like the equivalent of St. Pete to Tampa – an artsy district with lots of hipsters and great restaurants. We stopped at Leon’s Full Service for a small lunch. We both had a cup of the daily soup - Shrimp Bisque. It had very good flavor, but I wish it had more chunks in it. The crispy toast it was served with paired perfectly. I tried “The Good Habit” fall cocktail – made with gin, cognac, spicy masala chai, vermouth, and lemon. If you like chai tea, you would love this drink. And since we were on vacation, we split a dessert – tart cherry ice cream, candied bacon, cherry-whiskey syrup, served in a pork fat tuille cup. The bacon was made from pigs that ate leftover grains from the local Jailhouse Brewery. The dessert was very unique – sweet and savory – and the cherry and bacon paired nicely. Next we headed to Sweewater Brewery to take a tour. We saw online that they run 5:30 – 7:30 and that it gets pretty busy, so we showed up a few minutes early. We were told to wait by the bar until they were ready to line us up for tickets, but they didn’t serve drinks until 6pm, so we spent the next 45 minutes watching all the employees enjoy beers while we stood around awkwardly. But then 6pm came around and it started getting crowded. We got in line to get our tickets - $10 gets you a souvenir glass and 6 tasting tickets. We started sampling their beers – the higher alcohol volume beers took 2 tickets. They had brewed a special blueberry beer flavored with Trix cereal – which I actually wasn’t a fan of, but I did like their Georgia Brown and Take Two Pils German pilsner. We took a tour of the brewery, which only took a few minutes. They had several large steel vats with beer fermenting. Their experimental vat was painted black & white with flames. Employees can brew whatever they feel like in that one and test out new flavors. It seems like this brewery is where all the locals go to drink – and with the 6 drinks plus free glass for only $10, I can see why. They also have a nice courtyard outside which was perfect for the cooler weather. Afterwards, we headed to Antico Pizza Napoletana – another restaurant I had seen recommended by nearly everyone who wrote about Atlanta food. Even though it was a weeknight, the parking was insane and people were waiting out the door. Luckily, the line moves quickly. You order your pizza at the counter, and then it is freshly made in woodfired imported Italian pizza ovens. The menu is pretty short – 10 types of pizza and 3 types of calzones. We ordered the Lasagna pizza with meatball, ricotta, and romano. The seating is all communal, so we snagged two spots at one of the wooden benches. Once the pizzas are ready, the servers carry them around on large metal trays and call your number, trying to find you in the busy restaurant. They brought us our pizza and we were not disappointed! It tasted so authentic and fresh – the crust was slightly charred which gave it nice flavor. You could tell that they use quality ingredients and keep the recipes nice and simple. They only have one size option, which was a pretty large pizza, but we devoured the whole thing in minutes. Antico is BYOB, so plenty of diners had their own beer or wine. But we already had plenty to drink that day already. We were in and out of there in a matter of 20 minutes, so despite the crowds, spaces are constantly opening up at the tables. This is definitely a must visit when you’re anywhere near Atlanta. Check out the rest of my Atlanta posts to read about the rest of our Georgia dining experiences! Folk Art Restaurant is located at 465 North Highland Ave NE, Atlanta, GA 30307 and is open 11am – 10pm Monday through Thursday, 8am – 11pm Fridays, 9am – 2pm and 2:30 – 11pm Saturdays, and 9am – 9pm on Sundays. The Vortex is located at 438 Moreland Ave NE, Atlanta, GA 30307 and is open 11am – 12am Sunday through Thursday and 11am – 2am Friday and Saturday. Leon’s Full Service is located at the Hilton Downtown at 131 E Ponce De Leon Ave, Decatur, GA 30030 and is open 5pm – 1am Mondays, 11:30am – 1am Tuesday – Thursday, 11:30am – 2am Friday and Saturday, and 11:30 am – 1am Sunday. 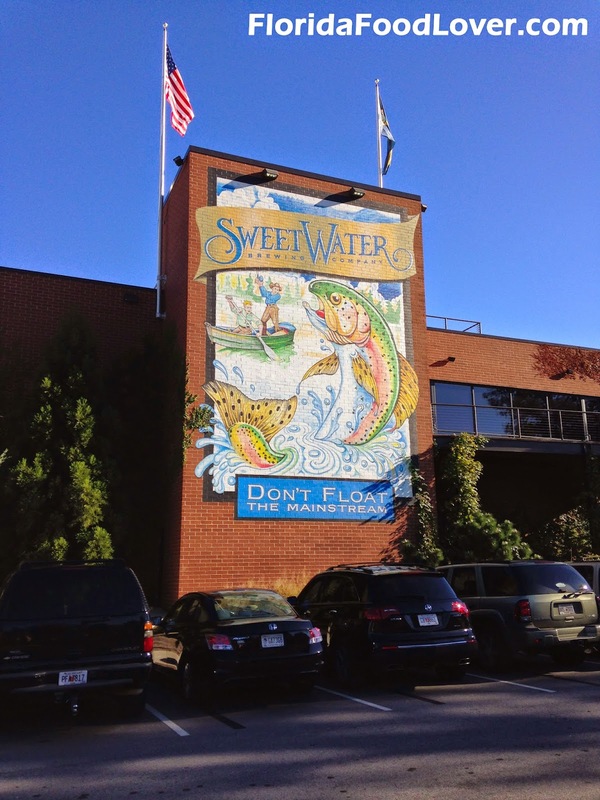 Sweetwater Brewery is located at 195 Ottley Dr NE, Atlanta, GA 30324 and is open Wednesday– Friday from 5:30 – 7:30 and Saturday - Sunday from 2:30 – 4:30. Antico Pizza Napoletana is located at 1093 Hemphill Ave NW, Atlanta, GA 30318 and is open 11:30am – 11:30pm Monday through Friday, 11:30am – 12am Saturday, and closed Sunday.